Food Street is a restaurant simulation and management game that lets you create and design your own restaurant! Build, bake and design in a game that puts you in charge of your very own business. Farm your own ingredients, cook food and prepare original recipes in a stunning 3D city filled with delightful characters! Cook and serve for all your customers as you run your own kitchen. 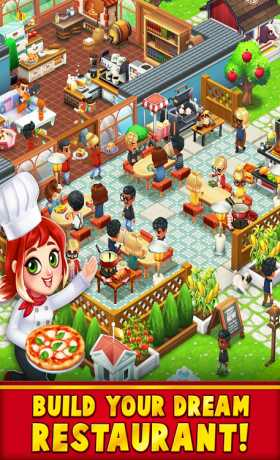 Master restaurant management for endless cooking fun in one of the most addicting games around! ~ Grow more with more farm plots! ~ Design your restaurant by purchasing items and staff uniforms to give your cafe a personal touch, even for the holidays! ❤ Farm Your Own Ingredients! ~ Search for more land to build farm plots and grow more ingredients! ~ Manage your own restaurant! Create multiple restaurant layouts to promote your business in a fast-growing city. 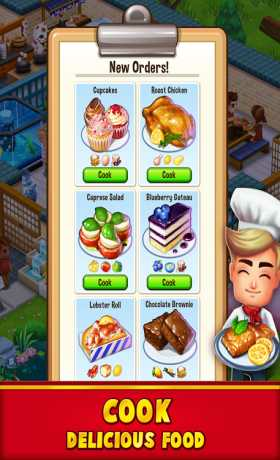 ~ Fans of cooking games will love Food Street’s deep restaurant upgrades! ~ Manage and collaborate in restaurant Food Clubs to compete in friendly cooking games and competitions. ~ Play in online Food Clubs where you and your friends trade recipes and cook together. 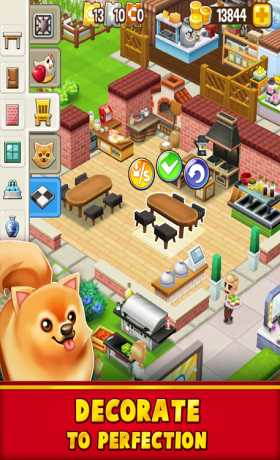 Food Street is the perfect restaurant management game for any fan of baking, farming or cooking games. Don’t wait any longer. Download Food Street today! PLEASE NOTE: Food Street is free to download. However, purchases can be made in the game for real money. If you don’t want to use this feature, please disable in-app purchases in your device settings. A network connection is required to play.